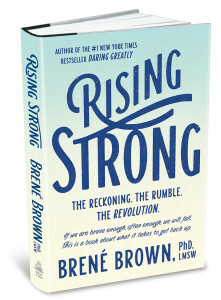 If you’ve read anything Brown has written, seen her TED talk or watched anything she’s done – you do not need me to tell you to buy this book. You’ve already bought this book and probably pre-ordered it. Those of you who have heard of this Brown woman and are skeptical because you’re not really into self-help and she carries the tinge of Oprah? I’m writing to you. And those of you who haven’t heard of her? You too. This is as honest as I can possibly be about this book – it’s almost everything I wish we would all know and live by, boiled down into clear, concise writing and vulnerable storytelling. Brown is a social worker (yeooooo, LMSW! Social workers unite!) who has been researching how people interact with vulnerability and bravery through storytelling for decades. And let me tell you, it shows. 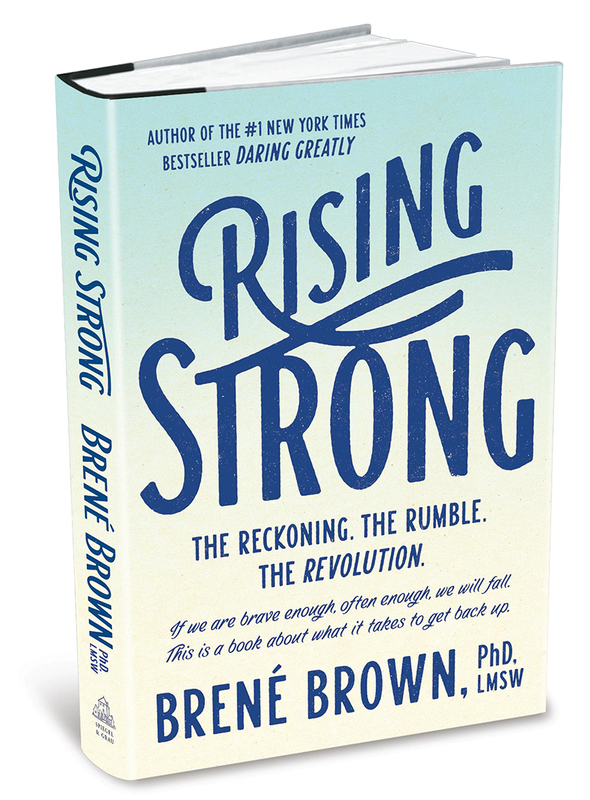 This isn’t your mama’s self-help book, this is a bold and refreshing chance to take a look at yourself, a look at your choices and, indeed, rise strong. I got this one on NetGalley but immediately went and purchased it for myself. I can see having a few copies of this on hand for clients and purchasing it for some friends for Christmas. There is no preaching in this book, there is advice based on scientifically collected and analyzed data that is sound and helpful. There are anecdotes and pop-culture quotes and it all ends up feeling like a chat with a friend over a cup of coffee. I know this is not going to tick everyone’s boxes and I know some of my readers are rolling their eyes at it – but y’all. It worked for me. So much of her writing made me go “huh, I do that too” and “oh, that’s that fight I was having with my husband last week” and “I should remember that next time I’m beating up on myself”. I have friends who live by Brown’s words the way others live by Scripture and I can see why. She’s not a savior or anything and she’s not everyone’s therapist, but man is she a breath of fresh air for those of us who could use a bit of therapy every now and then and want to avoid the saccharine to-do lists of the self-help aisle. I read this one with coffee and my journal open and I’m sure the re-read will be the same. I received a copy of this book from the publishers via NetGalley in exchange for a fair and honest review.